When you click the “Thumbs down” icon the item will enter a recalculation queue, and will soon disappear from the social news main page. It will of course remain in the news feed it came from, so everything for example coming from Planet maemo subscriptions will stay there. 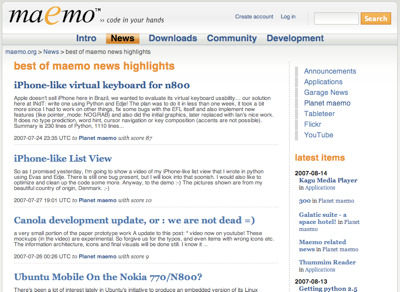 Also related to the Social News service is that the best of maemo news highlights is now available for browsing. Go and check out the most popular items related to the project!